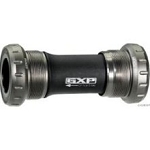 Sram GXP bottom bracket is needed - we sell those too! 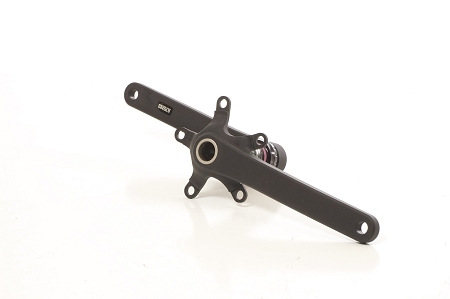 Our newest crank model, the ZIS-2 integrated spindle road bike cranks, are now available. Based on our original Zinn-tegrated cranks, the ZIS-2 takes performance and longevity to another level. With our latest advancements, the ZIS-2 is now even stiffer than the previous model providing the ultimate in power transfer for tall cyclists. Tall riders using long cranks can unload an unprecedented amount of power, and the ZIS-2 cranks are designed to harness that power and send you to the front of the pack. The new shot-peened and powder coated surface finish creates a crankset that is extremely durable and resistant to the elements. ZIS-2 custom road bike cranks are designed with an integrated spindle and external bearings, and compete in stiffness to any high end crank in the industry. Lighter and stronger than our square taper model and stiffer and stronger than the original Zinn-tegrated model, the ZIS-2 cranks are the most high performance bicycle crankset for the big and tall rider available. ZIS-2 cranks are 100% handmade in the USA with American materials. We use the best 7075 aluminum alloy for utmost strength and long life. The machined and black anodized finish is unique and beautiful and shows the high quality craftsmanship that is put into every single crankset. Currently available in 130BCD doubles and 110BCD compact doubles. ZIS road bike cranks are compatible with a number of different drivetrain options. The cranks use a SRAM GXP external bearing bottom bracket, and can mount to any bike with a standard 68mm BB shell with English or Italian threads. The spider is either a 130bcd or 110bcd 5-bolt pattern for chainring compatibility. The 110bcd cranks are not compatible with Campagnolo 110bcd chainrings, but any other 110bcd rings should work fine. If your bike has BB30 or some other type of bottom bracket, chances are, there is an adapter that converts your bike to a Sram GXP. ZIS road cranks can be set up with 2x10, 2x11, or 2x9 chainrings. Sram or FSA chainrings work best. Zinntegrated Road cranks work with singlespeed, belt drive, and internally geared hub systems.